Appointments are scheduled in advance to best serve the needs of our patients so please let the receptionist know what you are being seen for so you can be scheduled appropriately. Every effort will be made to see those patients on short notice who develop an acute illness or another emergency problem. These situations will sometimes put us “behind schedule”, and we appreciate your understanding at such times. If you cannot keep your appointment, a 24-hour notice is required or else you will be charged a $50.00 No Show Fee. If more than one member of your family needs to be seen, please schedule accordingly. 8:00 a.m. – 7:15 p.m.
(Please note that Saturday appointments are reserved for illnesses and emergency visits only). 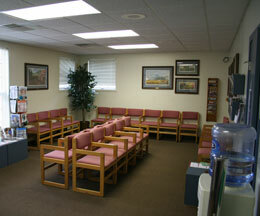 We try to accommodate your request to schedule with a certain physician. This is easily accomplished for routine visits and is best for continuity of care. However, patient problems that require a more acute appointment may present difficulties with your choice of physician. We ask that you be flexible under such circumstances and accept an appointment with the most readily available provider. We prefer to feel that you are a patient of our practice and not of a particular doctor, thus it is important that you become familiar with all the physicians and physician assistant.